As a Dutch internet company, we have been invited by the Dutch European Commission to think about topics such as hosting and data centers. What is important and why? What are we running into? What is going well? 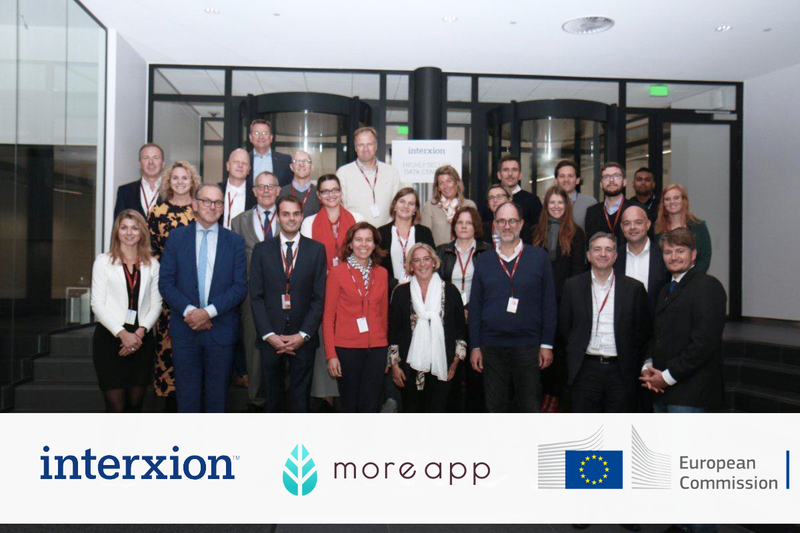 After his visit to the Dutch House of Representatives, Thom Bokelaar from MoreApp is invited by the Directorate-General for Trade of the European Commission to visit one of Interxion's data centers. The committee members of this directorate are responsible for the policy on trade with countries outside the EU. Besides an interesting tour, the exchange of knowledge is at the top of the meeting agenda. The importance of data centers compared to personal local servers was well-received on this day. Of course, sharing infrastructure provides many benefits. In addition, a data center in the Netherlands has great appeal compared to other countries. Low energy prices, geographical location and good infrastructure (very close to AMS-IX, one of the most important internet hubs in the world) are the reasons for this. The strength of the Dutch data centers is that they are a host for every sector. "When hosting games, there is already a lot more to it than the transport and storage of the data from MoreApp". Thom is very satisfied with the outcome of this day. "I indicated that we, as MoreApp, see a lot of importance in doing business with Asia and the Middle East." The European Commission is concerned with limiting trade barriers, so that doing business with organisations in these regions becomes easier. In addition, the Netherlands Enterprise Agency (RVO) also helps us as a Dutch company to do business abroad. The economic missions with, among others Prince Constantijn of the Netherlands, help companies like MoreApp to do business abroad. By taking part in discussions with the European Commission, the RVO and Startup-delta, MoreApp contributes to the development of the ever-increasing internationalisation of Dutch IT services.